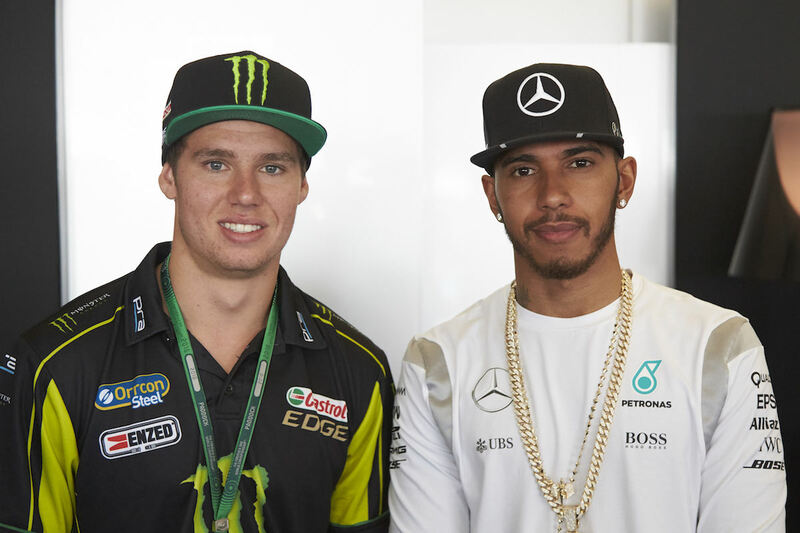 Monster Energy Racing’s Cam Waters has spent time with 2015 World Champions MERCEDES AMG PETRONAS ahead of this weekend’s Formula 1 Australian Grand Prix. Drawing on the experience of multiple F1 World Champion Lewis Hamilton, Waters was blown away by his high end approach to motorsport. “What an awesome experience to spend time with the world’s best team and driver at Albert Park today,” said Waters. After an exclusive tour of the team’s operations, Waters was astounded at the attention to detail and extreme level of engineering involved in putting an F1 car together and ready for the track. “A V8 Supercar is heaps different to Lewis' F1 machinery but as drivers there are plenty of similarities in our approach to the racetrack, and it was great to get some insight on the track and racing in general, from the world’s best. 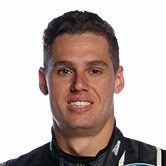 Much like his fellow Monster Energy athlete, Waters carved his racing path through karting and open wheel racing which has led the 21-year-old to a full-time drive behind the wheel of the #6 Monster Energy PRA Ford in one of the strongest touring car categories in the world – V8 Supercars. “I started racing karts when I was six so to hear Lewis express how much karting moulded him into the racer he is today is a massive confidence booster for me. 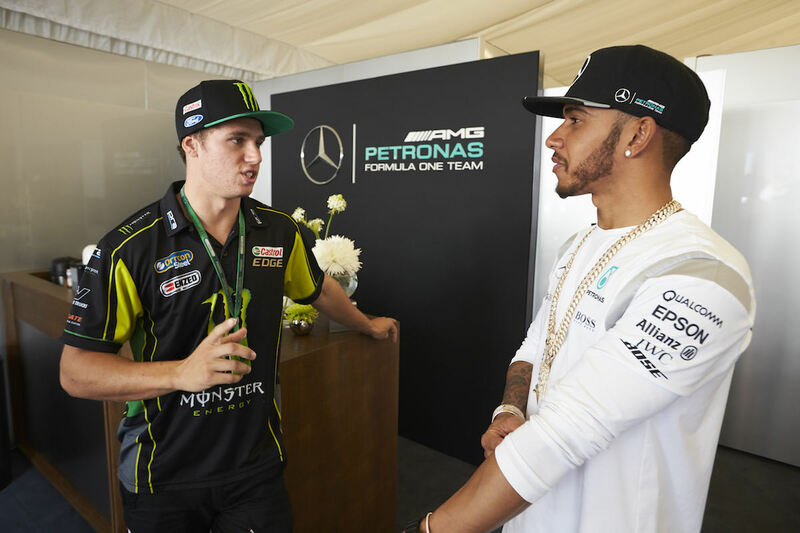 “I’ve got heaps to learn as I kickstart my professional career at an international level this year so I have to say a massive thanks to Monster Energy for hooking up this meet and greet with Lewis and the team today. “These guys are the best in the business and I’m taking a ton of info from this which I’ll be sure to unleash on the V8 Supercars Championship in 2016 and future years to come,” Waters added. Hamilton and Waters will each hit the track across all three days of the iconic Formula 1 Australian Grand Prix event and fans unable to attend can catch all the action on FOX SPORTS and Network Ten live this weekend. 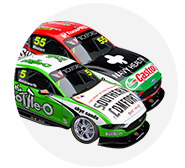 V8 Supercars tackle two, 30 minute races today on the Albert Park circuit, followed by two more races of the same length on Saturday and Sunday.